Analytics for your account. This is the single best thing about upgrading your account to business – you can easily see how many people view posts, which posts are most popular, growth in followers, follower demographics and so on. Instagram offers none of this to individual users. To access insights, click on the little graph icon in the upper right corner. Analytics for specific posts. You can view insights for each image you post by clicking on “view insights” underneath the image. Contact information. Business accounts link to your website and include a phone number with a nice big “contact” button right there on the front of your profile – users can click on it to get directions, call or email. Ad creation. Of course, from Instagram’s perspective, it all comes down to monetization, right? You can create Instagram ads from within your new business account, whereas before you had to do it through your Facebook Page. You can also promote specific posts, much in the way you can boost a Facebook post. Instagram will prompt most business users to make the switch from a personal to business account, but if it doesn’t, you can click the gear button at the top of your profile. Go to “account,” and if the option to switch is there, go for it. Choose and download a Repost app. There are several free versions – one of the best is Repost For Instagram by Red Cactus LLC. Open Repost. The post you just copied will appear – click on it, and choose “repost” at the bottom. A window will open, inviting you to “Copy to Instagram.” You can then paste the original caption (thus getting all those great hashtags), and add captioning of your own as well. It’s a great way to broaden your reach and include photos that are relevant to your business, but that you’re not in a position to take yourself. What you choose to regram will vary depending on your business. You may choose to regram images of products you offer, important organizations or events in your community that you wish to support, or images involving your business, products or location. You pick up the original post’s hashtags. When you copy and paste their captions, you get their hashtags, which means people searching on those hashtags will find you, too. You get the attention of users whose posts you use. That isn’t a good reason to regram a photo in and of itself, but it’s a nice side effect. As we’ve seen in the social media world over and over, different media adopt some of the best features of their competitors in an attempt to steal their appeal, and ultimately their market share. In August 2016, Instagram rolled out the “story” feature, a direct copy of Snapchat. With Story, you can create a little filmstrip of multiple photos and videos– without overloading your feed with too-frequent posts. Click on the plus sign, and add as many photos as you like. You can also add text in different colors, draw on your photos and so on (see how Snapchat-like this is? ), in addition to the usual Instagram filters. You can shoot new photos into the story or upload shots from the last 24 hours. As we’ve discussed in an earlier podcast, Instagram posts are highly curated and polished, and you should only post your very best shots – but with story, you can relax your standards just a little bit. (From Instagram’s point of view, this is a way to encourage more frequent sharing). When you click “done,” your profile photo will appear at the top of your followers’ feeds – when they click on it, they’ll view your story. Unlike regular Instagram posts, viewers can’t “like” or publicly comment on stories. The story will disappear after 24 hours, and will not post to your permanent timeline. You can’t share it to your Facebook Page, either. (You can, however, post individual photos from stories to your timeline in the same way you’d make a regular post). Story is a great way to document a full day, event, product line or anything particularly exciting or relevant that would be best shown with multiple photos. Because it appears above users’ timelines, it’s a great attention-getter, too. Use relevant hashtags. We’ve been over this in a previous podcast, but make sure you use the right hashtags for your posts. Unlike Twitter or any other social media, multiple, copious hashtags are appropriate and even encouraged on Instagram – you literally can’t overdo it. A quick time-saving device is to create a few notes on your smartphone with lists of hashtags you typically use, depending on the type of photo you post – copy and paste your list to avoid having to type them out every time you post. When appropriate, fill in the location of your shot. You’ll have the option to do this as you upload. The reason is simple – people can and do search on location, and you want your photo to appear when that happens. Share photos you post on Instagram to your Facebook Page. Instagram is owned by Facebook, which has shown every indication that it intends to prioritize and push Instagram usage. It is easy to link your Instagram account to your Facebook Page – from Instagram, you can share photos directly to your Page. Photos posted in this way tend to get high engagement, and this also helps encourage your Facebook followers to pick you up on Instagram, too. It’s also possible to share your Instagram posts on Twitter. Your Twitter followers won’t see the photo directly – instead, they’ll have to click on the Instagram link to access it. Also, your caption will cut off at 140 characters, which is the limit for any tweet. So if time allows, it’s often better to tweet the photo directly — but occasionally, tweeting your Instagram shots is a good idea if your caption is short. Follow and interact with relevant Instagram users. Like Twitter (and unlike Facebook), Instagram business accounts function exactly the same as Instagram accounts for individuals, other than the features discussed above. That means you can and should follow other users, business and individual alike. Initially Instagram will make suggestions for you, based on your personal phone contacts and Facebook friends. As Instagram gets to “know” you, it will make further suggestions based on likes, location and more – and if you’re interacting with others by liking and commenting on their content, your account will be suggested to others, too. Be sure to regularly search on hashtags and locations relevant to your business. 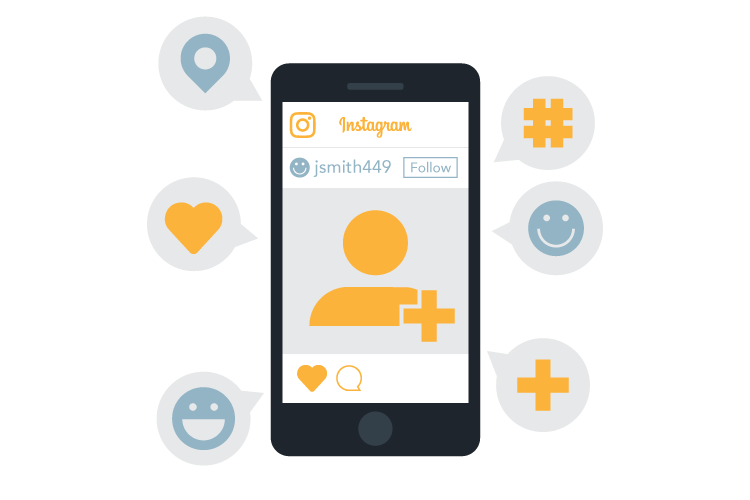 This will help you find users to engage with and content to regram. This isn’t something you have to spend a lot of time on, or do everyday – the content will still be there. Include your Instagram feed on your website. Many websites include an Instagram ribbon running across the bottom of your website, providing an excellent opportunity for people to notice and follow your feed. At the same time, regularly posting images will refresh your website content with new and visually interesting material.